Just 10 years after he bought struggling Manchester City, Sheikh Mansour has the satisfaction of knowing his billions have transformed the club from perennial underachievers into the kings of English football. 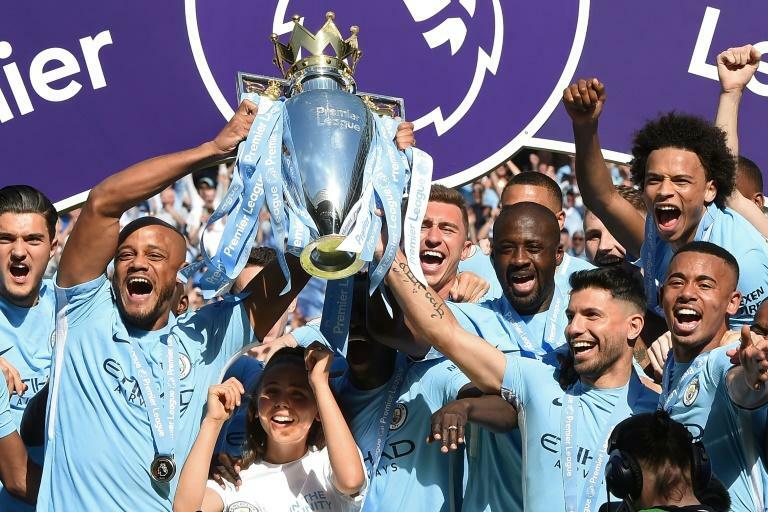 Inspired by Pep Guardiola's managerial genius and the brilliance of Kevin De Bruyne, Sergio Aguero and company, City's record-breaking Premier League title triumph last season signalled the club have entered a golden era. But City's status as England's pre-eminent force is not just a testament to the guile and skill of their manager and his star-studded squad -- it is the culmination of an investment plan that has shaken the league to its foundations. Over the past decade, Mansour has bankrolled a spending spree of around £1.2 billion ($1.5 billion) that ended Manchester United's reign as the dominant team in town, while turning City into a domestic giant with three Premier League titles, three League Cups and one FA Cup in their trophy cabinet since the takeover. Guardiola's current crop are targeting more glory as they bid to become the first Premier League club to successfully defend the title since United in 2009 while mounting a sustained challenge for City's maiden Champions League crown. Under Mansour and chairman Khaldoon Al Mubarak, City have stopped thinking like corner shop owners and now run their business like a global corporate giant. "Every club you sign for they give you the same pitch, 'we've got a big project, big ambitions, we want to achieve this and that, we want to kick on'," said long-serving City captain Vincent Kompany ahead of the 10-year anniversary of the takeover on Saturday. "I just happen to be lucky that City was the one club that didn't lie about it." Yet when Mansour and his Abu Dhabi United Group purchased City from Thailand's Thaksin Shinawatra for £210 million on September 1, 2008, they arrived to find a club languishing in United's shadow after finishing 32 points behind the champions the previous season. City's inferiority complex was well founded after decades of failure. They even spent a season languishing in the third tier in 1998/99 -- just two years after a farcical demotion from the Premier League when Alan Ball urged his players to defend in the final minutes of their last match of the season in the mistaken belief that a draw was all they needed to avoid the drop. No wonder City's terrace anthem during those wilderness years was the melancholy chant; "We are not, we're not really here. Just like the fans of the Invisible Man, we're not really here". 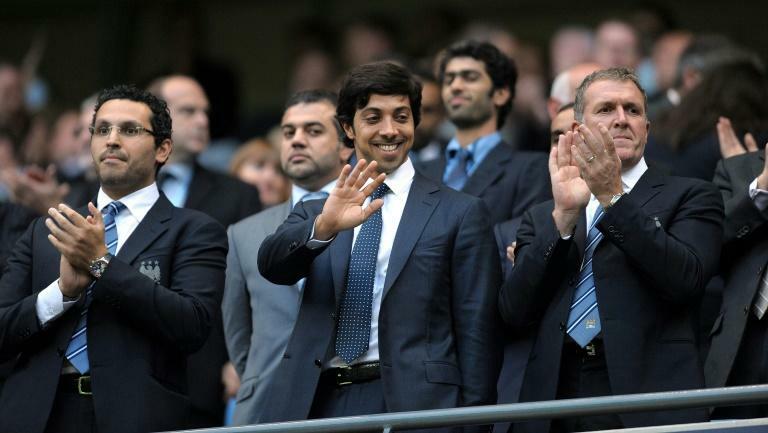 By the time Mansour came calling, City had stabilised, but their average final league position in the six seasons prior to the takeover was 12th. A glance at the teamsheet for the first match of the Mansour era reveals just how far the club have come since that 3-1 home defeat against Chelsea. Michael Ball, Stephen Ireland and Richard Dunne were among City's starters, while their attack was led by then club record signing Jo -- a long-forgotten and little-lamented Brazilian striker who flopped during his brief spell in Manchester. "People forget that 10 years ago it was unthinkable that City would get to this place," one former senior City executive told Britain's Daily Mail newspaper. "Building the club that Guardiola took over meant building a world-class team. Players had either never heard of us or weren't interested in us." Fittingly, City's Abu Dhabi powerbrokers were in charge just in time for transfer deadline day and marked their arrival with a big-money swoop for Robinho, a Brazilian forward then regarded as one of the world's most promising youngsters. That set the tone for the decade to come as Mansour kept spending until the silverware finally rolled in, starting with the club's first FA Cup for 42 years in 2011. The changes have not just come on the field, with huge investment also made in the state-of-the-art City Football Academy, while Mansour's City Football Group now own five other clubs worldwide. "When I joined, Khaldoon Al Mubarak was saying where they wanted the club to go and where it would be. He's been true to his word to this day," said former City goalkeeper Shay Given. In a landmark moment, Roberto Mancini's side stole the title from United's grasp in 2012 thanks to Aguero's last-gasp winner against QPR. Ferguson retired a year later, sparking a major decline at Old Trafford and paving the way for City to fill the power vacuum in spectacular style. With Guardiola at the helm and their owners' vast resources on tap, the next decade could be even more spectacular.